Lying on our right puts less pressure on our hearts, which sits on the left side. According to traditional Chinese medicine, adopted by Yin yoga practitioners, the left nostril is the Yin (cooling, passive) side. Therefore, rolling to the right keeps the left nostril more open, balancing the body after a Yang (heating, active) asana practice. I’ve also heard folks claim that the sympathetic (action response) nervous system runs along the right side of the body, while the parasympathetic (relaxation response) nervous system runs along the left. Turning right activates the sympathetic side, spurring one to wake and enter the active world. But, I told Lisa, I’m not convinced about any hypothesis. I’m following tradition. My teachers all direct their students to roll right. This might simply serve to synchronize students’ movement: who wants exit savasana face-to-face with a random classmate? Why do you roll to the right after savasana? It’s funny that you should talk about this today, I usually ask my students to roll over to one side of their bodies, as opposed to telling them what side to roll on. The fascinating thing is that 90% of the time, they roll onto their right sides. I always do a back-flip into standing to end my savasana. hahaha. awesome. one day Bob i will also do a backflip to exit savasana. I have heard the “right is yang and energetic, left is yin and calming” along with the masc-right, feminine-left concept. also- if I remember my physiology correctly, the parasympathetic and sympathetic nervous systems are part of the Peripheral NS and travel both sides of the body. They both deal mainly in unconcious bodily functions (like gland, organ function) and travel via our 12 cranial nerves (for the most part). Our 12 cranial nerves affect motor ganglions with the parasymp/symp (for the most part) on both sides of the body. also the para-symp NS’s aren’t really an “on-off” type deal, but more like synergistic aspect that monitors the flow of each activation. A great question. I want to comment just so I can read all the responses! I remember one teacher offering an option: roll to the right if you need more energy, roll to the left if you need more peace. I assumed it had something to do with the bilateral yin/yang connection, too. I think that instructor had it backward, though. Ayurveda also suggests something similar for sleeping. Right-side sleeping opens the left nostril to offer a more cooling, calming sleep. Left-side sleeping opens the right nostril to create more agni and internal heat. I’ve also heard that it’s because the heart is on the left side. Mostly, I just like the tradition and routine of rolling to the right. It’s comforting to know that the way I will always get up from any supine pose is to roll to my right side. I have also heard about rolling to the right to open the passive left side of the body. Although I know that pregnant women are supposed to roll to the left. This is something I’ve often wondered about, as well, having heard the less than satisfying theories. Personally, I find rolling onto either side after savasana to be really uncomfortable, and prefer to rock and roll my way to standing after my practice. I have heard what Alex mentioned, that rolling on the right is cooling and calming because it allows the Ida Nadi (left energy channel, ending in the left nostril) to dominate therefore being calming, cooling and conducive to meditation. Pregnant women are recommended to lie on their left side instead of Savasana (unless savasana is less than 5 mins, or they are propped up with pillows) because of the risk that lying on your back, the weight of the baby will put pressure on the Vena Cava, which is the blood vessel that carries blood from your legs back to your heart – prolonged pressure on this blood vessel can cause dizziness and other symptoms. Lying on the right side when pregnant can increase pressure to the liver and kidneys which is also undesirable!! Great discussion and opportunity for us to all learn more! As a teacher I have to say that I am a big fan of the “everyone roll to the same side” approach, because when people just randomly roll over in a tight space – chaos! On the mundane side, in very crowded classes, it is necessary for everyone to roll in the same direction to avoid collisions. As for smaller classes, I like YogaSpy’s answer that it is tradition. One can go along with tradition, or not. I’ve never even thought about it to be honest! I figure it’s just tradition and all traditions generally start for a good and wise reason. If it’s not hurting anyone, I don’t have any problems upholding tradition. I usually tell my class to roll to either side because I feel that they should do whatever is intuitive and natural for them. But if there is not much space I’ll instruct ‘roll to the right.’ Mostly out of tradition because I have never worried about putting pressure on the heart by lying on the left side (not even with a patient with heart problems) and I think ecoyogini is right about the symmetry of the autonomic nervous system. But I do believe in the subtle energy channels and it may indeed be more calming to lie on the right side so I go with that when necessary. Thanks for a thought-provoking post! Maybe this week I will have all my classes try Bob’s exit, just to shake things up. This is all so interesting. I’ve often wondered about this. I was taught to tell the class to roll to the right, but I was never told a reason. So I’ve always cued to the right unless I know of a pregnant woman in the room, and then I cue everyone to roll to the left (then I stop her after class and explain why I did that). I think I’ve just gone along with the right side because I’m a new teacher and didn’t have a reason not to! anyone heard of the theory re: kundalini energy… ida and pingala? great question, and i love the variety of responses! i’m a little skeptical about the anoatomical and physiological reasons for rolling to the right – my feeling is that it’s so brief and momentary, that it wouldn’t make a difference to one’s nervous or parasympathetic systems. while i find the yin-feminine-cooling and yang-masculine-warming reasoning interesting and i know that it’s a big part of yoga psychology, i’m not sure how much belief i place in it. it’s funny because i recently asked my anusara teacher why we’re instructed to roll to the right in that system, and she gave me a surprising answer. the planets rotate to the right and move around the sun to the right – by rolling to the right after savasana, we’re symbolically aligning ourselves with the cosmos, with something bigger than ourselves. i like the idea of this movement being symbolic and representing a bigger intention, rather than trying to fit it into some kind of pseudo-scientific explanation. when i’m teaching, i instruct students to roll to the right because i understand that in most (right-handed) people, the right side is dominant and stronger, thus taking less effort to role over. i also like it when everyone is facing the same direction, and not having to look at somebody else after the introversion of savasana. Thanks for your thoughtful comment. But I’m confused about your Anusara teacher’s answer: Planets rotate to the right? I know that earth rotates eastward on its axis and also revolves eastward around the sun. 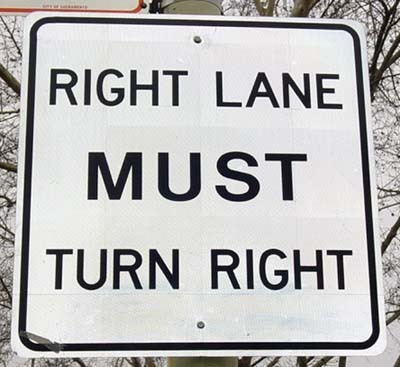 But doesn’t the idea of right/left depend on where you are positioned? Eg, if I am lying down with my head pointing north, then rolling LEFT would be aligned with earth. But if my head is pointing south, then rolling RIGHT would be earth aligned. Another idea: Maybe your teacher is visualizing earth’s rotation/revolution by looking at it straight on. In that case, yes, earth looks like it’s going toward the right (east). But I like to imagine myself as earth, in which case I would turn left to go east! Thanks for the planetary food for thought. Hmm, thinking about the infinite solar system does give me a reality check, even if only for a moment. hmmm… yeah, i’m not sure about the scientific basis of the anusara claim. but i think the key word here is “symbolic.” i’m not about to bring a compass to class to see which direction i’m positioned in order to determine if i’m completely aligned with the earth’s rotation as i roll out of savasana. i think it’s kind of a general principle, and a general explanation. on a side note, in the class i taught yesterday morning, i instructed the students to come out of savasana without specifying a direction, and they all rolled to the right. so it looks like we’ve all been conditioned well, somewhere along the way. In regards to the interesting planetary theory interesting, regardless of having a compass or not one would avoid aligning ones head north or south, due to the sapping of energy from the crown to the poles, head facing east maybe a better idea. In which case when you rolled either right or left your not going to be aligned with the spine of the earth on its access, aligning with the rest of the cosmos debatable, no one knows when it starts or finishes. just a thought! Anyway who cares about scientific or traditional esoteric explanations. The practice of yoga is all about the paradox between convention and freedom regardless of which method one follows. lets just do what our teacher told us, then through the practice question. Hmm ! I was taught many years ago to roll to the left side to dump the toxins into the colon that we just released through our Yoga Practice. Personally, I roll up center to a seated position for balance and I find my students to do the same. All responses are relevant, though I do agree with allowing students to come up using what feels good to them.